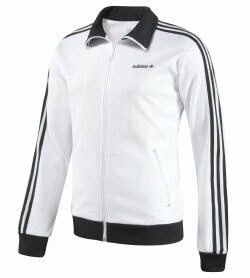 This rather nice Adidas track top is an exact replica of one worn by Franz Beckenbauer back in the day. The minimalistic approach to sportswear is to be applauded as Adidas resist the temptation to put a huge logo over the front. There are a few Der Kaiser-inspired Adidas pieces knocking around at the moment, including the Beckenbauer trainers. Click here to buy the track top.